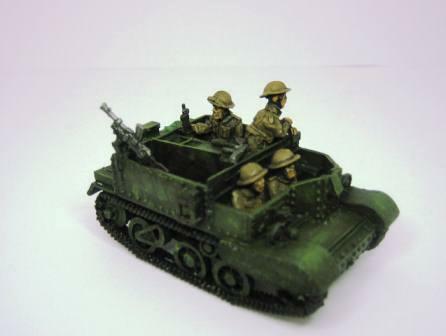 Who doesn’t have a soft spot for the little work horse, the Universal Carrier? I have even tried to buy a real one! 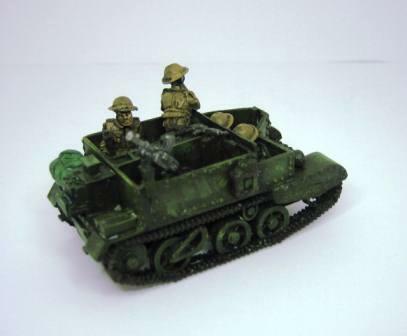 The Bren Carrier entered service before the war, the Universal Carrier (improved design) was introduced in 1940. 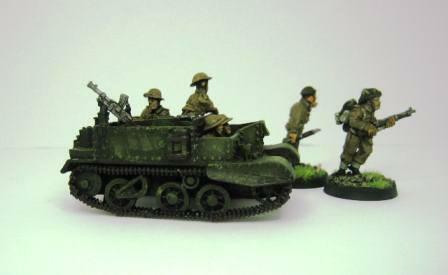 The Universal Carriers was used British Commonwealth and its allies during WW2. By 1945 approximately 57,000 Universal Carriers were manufactured. A total of 113,000 carriers were built by 1960, becoming the most produced armoured vehicle in history. 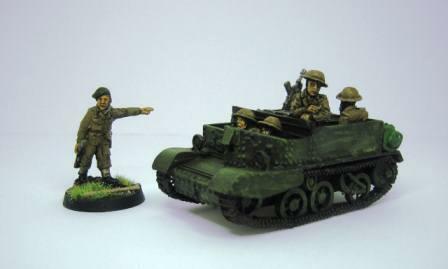 By 1943 each Universal Carrier had four crew, an NCO, driver and two riflemen. 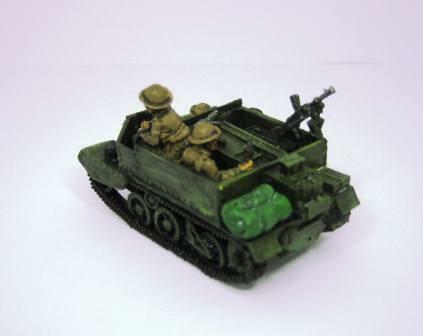 The Universal Carrier was armed with a variety of weapons, including Bren light machine gun, Boys antitank rifle, PIAT, 2” mortar and flame thrower. 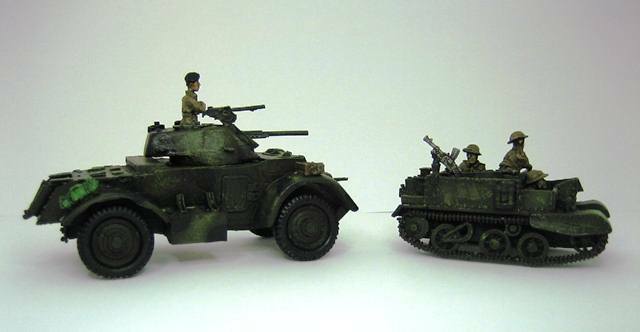 These models are from Die Waffenkammer.